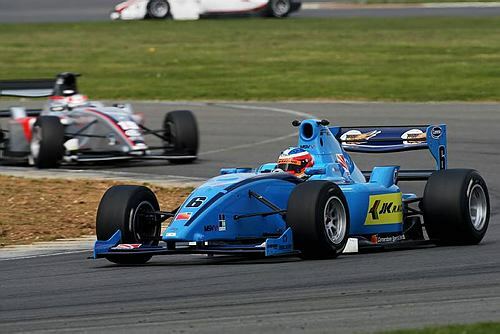 Armaan Ebrahim finished at 8th and 9th in the two races over the weekend at Silverstone. He was the star performer for the Indian contingent F2 as both Ajith Kumar and Parthiva Sureshwaran achieved finishes in their first race of their F2 career. Ajith Kumar who finished at the bottom of the pile (18th) in the race one, improved one position to finish 18th in the race two ahead of France’s Benjamin Lariche. Parthiva Sureshwaran though finished at identical 16th in both the races. Ajith would be extremely pleased with his efforts as he was able to complete both the races successfully and was able to beat one of the drivers in race two. Both Ajith and Parthiva have not been driving professionally for some time now, so it would have been a relief for them to finish both the races. For Armaan though this was a good race and he ended up in points in the very first race of the season. He kept the Indian flag afloat in Silverstone and would hope that he can finish higher in the races to come. Parthiva and Ajith though would want to improve and try to finish in the top 15 in Marrakech on the 30th of April when the 3rd and 4th round of this year’s championship gets underway. Good luck to all the three drivers and I hope that we get few podium finishes this year.